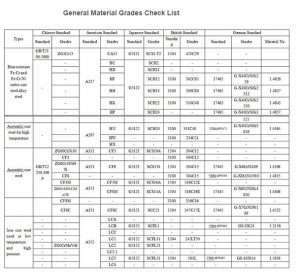 General Material Grades Check List- Vacuum Pump - EVP Vacuum Solution! Mould material is the material and technical foundation of mould manufacturing industry. The mould steel is the traditional mold material, its variety, specification and quality have a decisive effect on the performance, service life and manufacturing cycle of the mould. 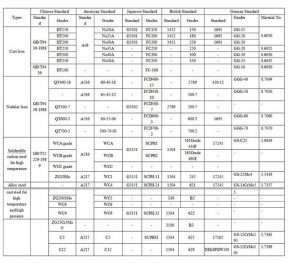 The die steel plate number control is based on the different needs of the steel and the different names of the same type of steel at home and abroad, which greatly improves the application efficiency of the die steel. In recent years, the production, production technology, technological equipment, quality and variety of die steel have been developed rapidly. Domestic also produced a batch of high-quality platform type enterprise. Objectively, it has promoted the promotion and popularization of foreign steel plate Numbers in China. Cast Iron, Nodular Iron, Solderable carbon steel for high temperature, Alloy steel cast steel for high temperature and high pressure, Heat-resistant Fe-Cr and Fe-Cr-Ni series cast steel alloy steel, Austenitic cast steel for high temperature,Austenitic cast steel,Iron cast steel used at low temperature and high pressure!